Medicine Buddha empowerment in London with Kadam Bridget – Did you go? 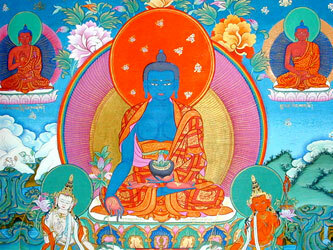 Did anyone go to the Medicine Buddha empowerment in London with Kadam Bridget? but you don’t fancy writing a snippet for here do you? You know, just a few lines on something you found inspiring, challenging or helpful. And there’s more ‘MKMC Snippets’ to come from this year’s Dharma events, so there’s no rush. But if something stayed with you from the teaching, then it’s probably worth sharing.